Gardening With Confidence™ Blog has moved. Goodbye wordpress.com – hello wordpress.org. With wordpress.org I’ll have the ability to add slideshows, videos, podcasts, and other fun plug-ins. 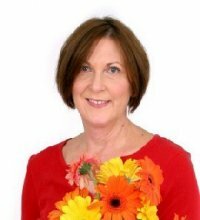 Follow Helen on Twitter @HelenYoest and her facebook friend’s page, Helen Yoest or Gardening With Confidence™ Face Book Fan Page. In a word, Cymbidiums are stunning. With a lushness to remind us of better gardening days ahead and a flower to make the wait until spring worthwhile, Cymbidiums make the perfect plant. Inside, in the winter, Cymbidiums need moderate to bright light such as morning sun or bright, “dappled” afternoon shade preferring daytime temperatures of 65 to 82 degrees F and nighttime temperatures of 50 to 65 degrees F.
Outdoors, after the danger of frost, place just inside the “drip-line” of a good shade tree or a bright covered porch. 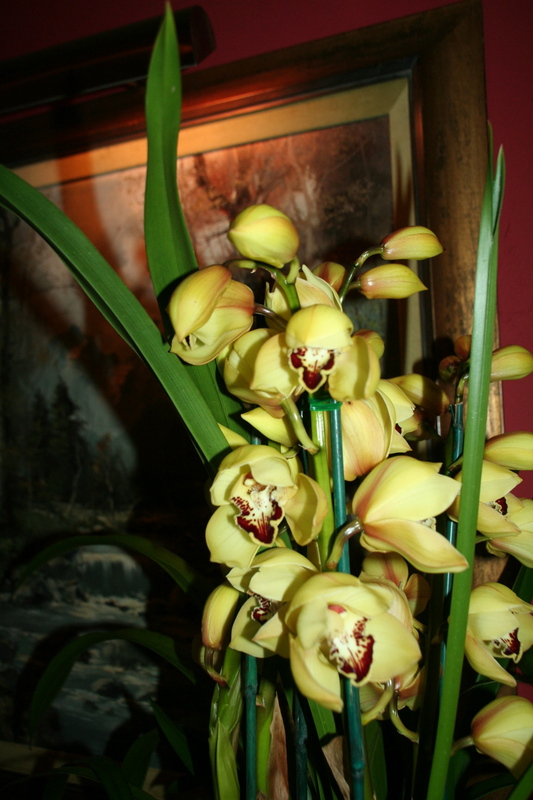 Cymbidiums should be kept evenly moist and well drained; and fed with a nitrogen fertilizer about once every two weeks. Available at garden centers and even grocery stores. Pick up your Cymbidium today for the best pick-me-up waiting for spring. Plans are being made for Garden Bloggers meeting in Buffalo! This going to be so much fun. Will I see you there? This will be my first Garden Bloggers meet-up. I missed the first two and I don’t want to miss this one. Nearly 40 have said they will be there so far. Check it out! As punishment to last week’s complaint of cold weather in the 40s, I was given even worse weather this week where it stayed in the 20s and 30s. It was a cold week in Helen’s Haven™. Gardening With Confidence™ was recognized as Ecosystem Gardening’s 2009 Garden of the Year. Gardening With Confidence™ was mentioned in Susan Reimer’s Garden Variety’s Blog again this month. Thank you Baltimore Sun! And Lisa Gustavson with GetInTheGarden listed her favorite wilidlife bloggers in Follow the Leaders. Thanks for mentioning Gardening With Confidence™; it’s an honor to be mentioned along with so many great, passionate wildlife bloggers. 365 DAYS IN THE GARDEN – everyday, there is something to do garden related…. 4. Break ice on bird feeders, added suet feed to supplemental feeders. 5. Read Plant Delight Nursery Catalog. 6. The early spring issue of Country Gardens arrived – Nice! 7. Spoke to a garden club about Adding Winter Interest to your garden. 8. Ordered Pathenocissus tricuspidata, Boston Ivy ‘Fenway Park’ from Plant Delight Nursery. Will pick up in April. 9. 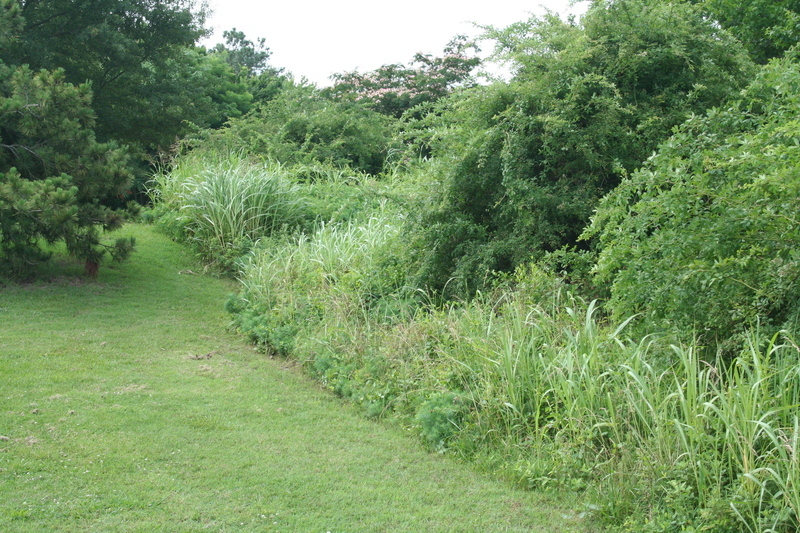 Worked on three presentations, Creating Privacy Hedgerows, Designing With Vines, and The Business of Garden Coaching. 10. Finalized plans for Garden Bloggers meeting in Buffalo! This going to be so much fun. Sent in full submission package to publisher. Now we wait. In the meantime, I wrote another chapter today. Did you know amaryllis transitions nicely from your holiday display to the garden for good? Lucky for us, our zone 7 gardens suit this transition just fine. 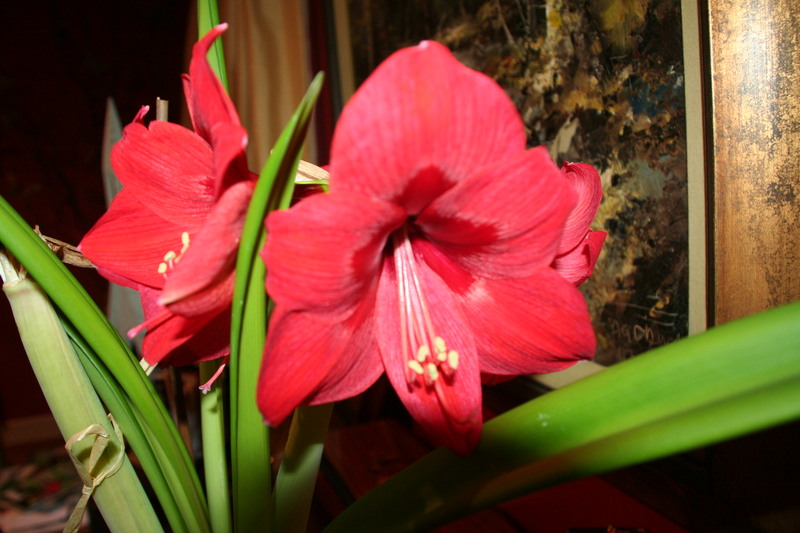 · Keep the amaryllis alive inside until after the treat of the last frost date in spring. For Raleigh, that 90 percentile magical date is April 15. · Choose a location in the garden that receives full sun with afternoon shade for a little relief from our notably, hot afternoon summer sun. · The soil should be well-drained and fertile with some phosphorus added. Bone meal or phosphorus fertilizer work fine. · Remove the bulb from the pot and carefully, spread the roots. · Plant the bulb just below the neck of the plant. · Cover with 2 – 3 inches of mulch to aid in conserving water. · Keep mulched through the winter to enjoy your amaryllis for years to come. Most likely, your amaryllis will not bloom again this year. Still, there will be nice strappy leaves to enjoy. Lightly fertilize monthly through August. Next year in the late spring, your amaryllis should bloom again. It is my understanding, hardy amaryllis are good into zone 6. 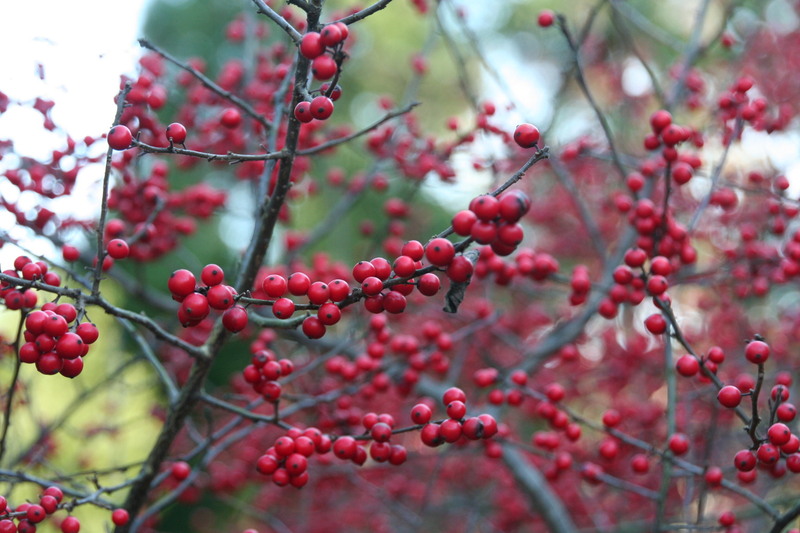 January is a good time to look back on your gardening year and to plan ahead. Now is a good time to walk around your garden, shoot some photos and make a wish list of your garden’s hopes and dreams. It is always a good idea to photograph your garden each month as a photo journal of what is blooming when. But also, looking at your garden through the lens is telling. What you see and what others see are often time two different things. We all have our priorities. What you may pass by everyday because you got use to looking at it will show up and be noticed in print. It’s no different when seeing one’s self in a photograph. Most of us don’t like what we see, we start picking it apart. Do you like what you see in your garden photographs? So while it is a good idea to walk around your garden to jot down ideas and what needs to be done, it is a better idea to evaluate what you see from photographs. Take a good look around. January is a good time to look back on your gardening year. Are there things you would like to change? Make a list, keep it handy, and add to it as necessary and check off the tasks once completed…it’s a good feeling. You will begin to see bulb foliage begin to emerge. It’s OK. The leaves are hardy and if harmed, they’ll grow more. Keep bulbs mulched so they aren’t lifted by heaving resulting from repeated freeze and thaw. As the tips of your daffodils emerge, add a general 10-10-10 fertilizers or a fertilizer especially designed for bulbs such as Holland Bulb brand. Figs do fine in many soil types, but perform best in slightly alkaline soil. To aid in this, given our areas natural acid tendencies, Here at Helen’s Haven™, we add powered dolomite limestone (CaCo3) to the fig bushes. Camellias (Camellia japonica) really start to shine in January. To discourage Camellia petal blight, remember to rake spent flowers that have fallen underneath the bushes. It has been a cold week in Helen’s Haven; so much so, I was too weak to work in the garden at all. Hardly leaving the mid 40s, I felt I needed to wait until the 50s returned. This month, is my 2nd blog anniversary. It started as a diary of garden goings on in Helen’s Haven: what was growing, blooming, planted, pruned. It also included what the kids were doing in the garden. Their joys in the garden, as well as, their antics. Today, this Sunday post remains the same, with more focus on the what was done in the garden during the week. Surprisingly, these Sunday posts receive the most hits. I don’t know what this means, but thank you for stopping by. Actually, this weekly post surpasses my most favorite posting – This Month in The Garden – where I give monthly maintenance tips for our zone 7b gardens. Often, I’m asked how I got started writing a garden blog. Given that my day job is already as a writer (and garden coach & scout), how do I find the time and interest in writing for free? My answer, a release. It is such a release to write this blog. It’s the only avenue I have to write anything, I mean anything, I want. I can write in first person, it can be pillar or pale. It can be about books, plants, travels, people, or profiling a garden. 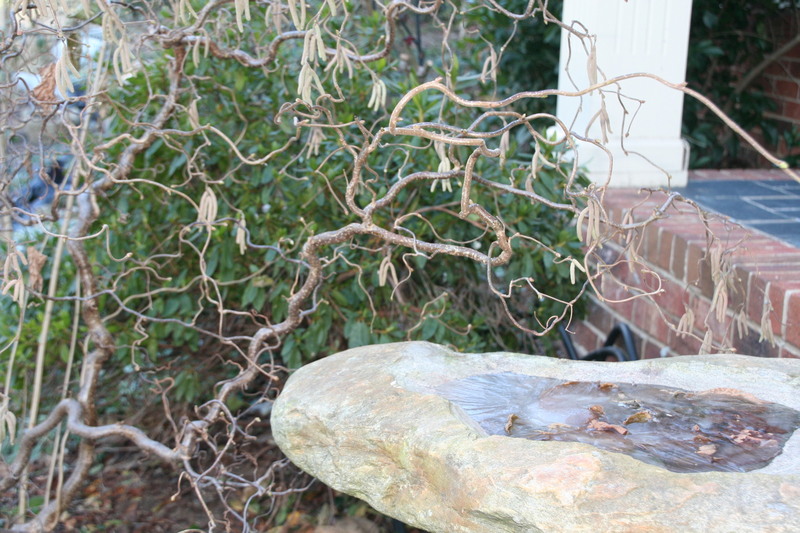 The profiles came about as I wanted to share great gardens in NC and beyond. I get to see some great gardens through my work with Better Homes and Gardens and their special interest publications such as Country Gardens and Nature’s Garden. But for so many reasons, none of which are due to the garden not being worthy of publication, they are not selected. This gives me a chance to profile their garden as a thank you for sharing it with me. Reflecting on the last 2 year’s worth of post, I’ve decided to continue much as I have been, with a small difference. The difference will be frequency. I’m thinking I’ll continue to post this weekly update. I find it to be a valuable reference of my garden goings on and I think the reader can glean what they can be doing in the garden, as well. I’m also going the bandwagon in the What I do in the Garden 365 DAYS IN THE GARDEN. Not sure if it is a real challenge, but sounds like something I would like to do. For my long time readers, it is no surprise that I am writing a book. I haven’t officially started. I have a committment from my publisher, but I’m still in the process of putting the details together: sample chapter, tone, table of contents, etc. After this, I hope to actually begin writing the book. To keep track of all that I am doing, I thought I would begin to include a BOOK REPORT in my Sunday post. This will update you and allow me to chronical my progress. I’ll also include a section on WHAT’S SHE WRITING ABOUT NOW…. This section will link the posts I wrote during the week, as well as, linking This Month in The Garden. You may ask, Why would I continue with the monthly maintenance guide when the hits are so low? Cuz one day you will visit and will need it. When you do, I will be there for you. It might not be today, or next year, but when you are ready to read about garden maintenance tips in our zone 7b gardens, you will have the resource as close as your friendly Garden Coach, Helen Yoest at Gardening With Confidence™. This past summer, I decided to work in earnest to publish my book. For a very long time, I’ve wanted to help gardeners with their gardens. As a garden coach, I work with gardeners to build the garden the always desired. As a garden coach, I guide them on to how to look at their garden. I believed, there was a book idea there and convienced a publisher of this too. Then, my publisher, Roger Waynick, Cool Spring Press, started to waffle. So the beginning began. Over the New Year’s break, I put together the information in the Cool Springs Press Submission guidelines. If nothing else, it was an exercise in organization. Organizing ones thoughts is never a bad idea. Hopefully, next week, I can tell you how much he liked it as well….hope so! What do You Want to Know About a Plant?